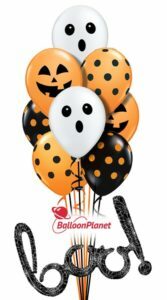 Your 2018 Halloween Balloons Are Here from Lift Your Spirits and our friends at Balloon Planet! Hello boys and ghouls! 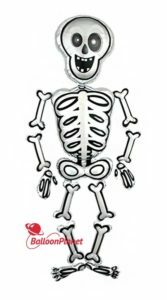 It’s that spooky time of year again, and that means our Halloween balloons are back in stock. This year we are offering several great arrangements that will add a fun decorative touch to any Halloween party at the home or office. Choose from our lovely Halloween Bouquets featuring black cats, bats, and ghosts, a huge 3ft Jack O’ Lantern*, or, if you need a date to your party, take our 6ft Skeleton Airwalker* and you’ll be guaranteed to be the cutest (or creepiest) couple. 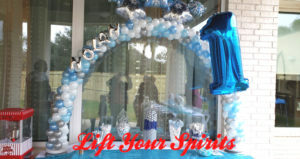 As always, Lift Your Spirit Balloon Decorators through Balloon Planet is proud to offer the world’s best balloons for your custom arrangement. 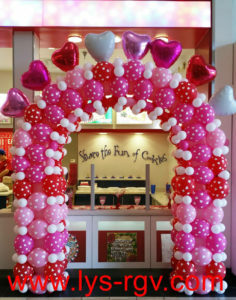 Create your own bouquet decorate however you want with balloons from our Create A Bouquet department. SPECIAL OFFER! 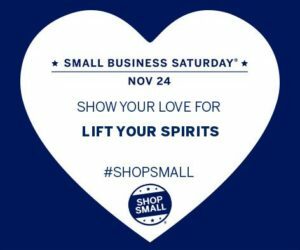 Save $10 on deliveries between now and October 31st by entering the promo code BOO2018 at checkout. 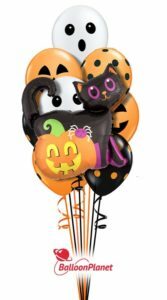 This discount applies only to bouquets that include Halloween themed balloons. The promo code expires Tuesday night, October 30th. *Available in select markets only. Please enter ZIP code and date of delivery to determine availability.